The complete details about the DSSSB AE JE Admit Card 2019 are available on this page. Candidates who had applied for the DSSSB Recruitment 2019 to fill the 264 Assistant Engineer, Junior Engineer Posts can get their DSSSB Hall Ticket 2019 within a shorter period of time. 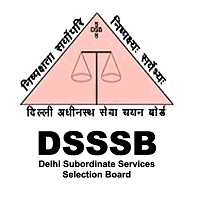 The higher authorities of the Delhi Subordinate Services Selection Board (DSSSB) are ready to release the DSSSB Hall Ticket 2019 in the month of March 2019. Candidates must carry their DSSSB JE Admit Card 2019along with them while appearing to the examination. This DSSSB JE Hall Ticket can be downloaded only from the official site that is dsssbonline.nic.in. Candidates can go through this section to get information about details that will be present on the dsssbonline.nic.in Call Letter 2019. Aspirants have to correctly fill the data in it and carry it along with them while attending the exam. While attending the examination hall, candidates need to carry some important documents for the security purpose. List of the documents is mentioned below. You can carry any of those documents along with the DSSSB JE Hall Ticket. Candidates who are going to attend the DSSSB JE Examination must carry their DSSSB JE Hall Ticket with them. Otherwise, the organization members will not allow those candidates to write the test. In the following section, we had given the procedure to download the DSSSB JE Admit Card 2019. Go through those steps to download easily. Initially, competitors have to visit the official site of Delhi Subordinate Services Selection Board (DSSSB) @ dsssbonline.nic.in. You will get the home page of DSSSB on the screen. In that home page move to the Latest Updates section. Now in that section search for the DSSSB JE Hall Ticket link. If you find the link then open it. Fill the complete details present in that. Crosscheck all the details and click on the submit button. You will get the dsssbonline.nic.in Call Letter 2019 on the screen. Download the DSSSB JE Admit Card 2019 in the given format. Take two to three copies of that Hall Ticket for further process. Stay tuned to our site freshersnow.com for more information about DSSSB JE, AE Admit Card 2019.